Must be a registered member of the Order of the Arrow in good standing with both the Lodge and/or Chapter and the unit. Encourages year round and resident camping in the unit. Assists with leadership skills training in the unit. Encourages Arrowmen to assume leadership positions in the unit. 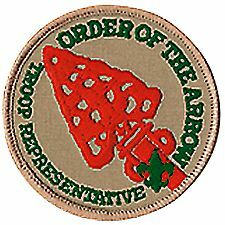 Encourages Arrowmen in the unit to be active participants in the lodge and/or chapter activities and to seal their membership in the Order by becoming Brotherhood members. Regularly attends troop meetings, troop campouts, and troop/team events during his service period.